BAKUBAKU with other bacteria bed can resolve food residue about 99.8%. This is the biggest feature of BAKUBAKU machine. Input after 2~6 hours, all food residue will be broken down into water and carbon dioxide. The water will evaporate after decomposition, input after about 24 hours; it can input the next batch food residue, there is no water residual in processing tank. BAKUBAKU machine is beneficial for environment, food residue unnecessary to fire; organic matter resolve the residue in the BAKUBAKU equipment, and also, it can greatly reduce the emissions of carbon dioxide. The food can be eaten by human which can be input. such as bamboo chestnuts hardcover part, parts of food can not eat etc. all can be broken down. For example rice, bread, noodles, meat, fish, fish bones, chicken bones, vegetables, fruits, flowers and plants, peanut and so on. Oil, milk, wine, vinegar liquids, honey, sugar and other sugary items, medicine, antibiotics, soap, detergent, bleach, cosmetics and some chemical class articles, hair, fibre cloth, towels and other classes, and all other humans can’t eat food. Split chopsticks, toothpicks, skewer sticks, rubber, cigarette case, gum, tea bags, spoons, forks etc. Even mix in food residue, also won’t produce fault. Irreducible residue will stay in processing groove. Please take out the irreducible residue when in exchange of bacteria bed. There are some food which people can eat, but it contains a lot of water which food can not a lot input. The above is only for reference, please in advance to classify. 4. Delivery Time: 10-25 days for samples; 20-35 days for batch goods. 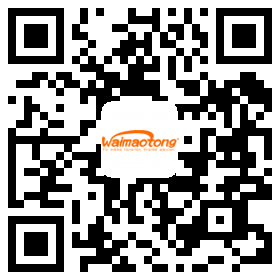 Company Name:ZHANGJIAGANG CHUNTAI ENVIRONMENTAL PROTECTION MECHANICAL ENGINEERING CO., LTD.